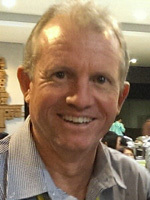 Peter Wilson is the Team Leader, Soil and Landscape Analysis, CSIRO Land and Water Flagship, Canberra. He has extensive experience in ecological and soil surveys, particularly throughout northern Australia. Peter was the Data and Information Coordinator for the National Land and Water Resources Audit and is now the Coordinator of the Australian Collaborative Land Evaluation Program (ACLEP) and Manager of the Australian Soil Resource Information System (ASRIS). He is the Chair of the International Union of Soil Science Working Group on Soil Information Standards. His current research interests includes digital soil mapping, soil condition assessment and international leadership in soil data exchange standards.